Senator Ed Markey in Boston earlier this month. 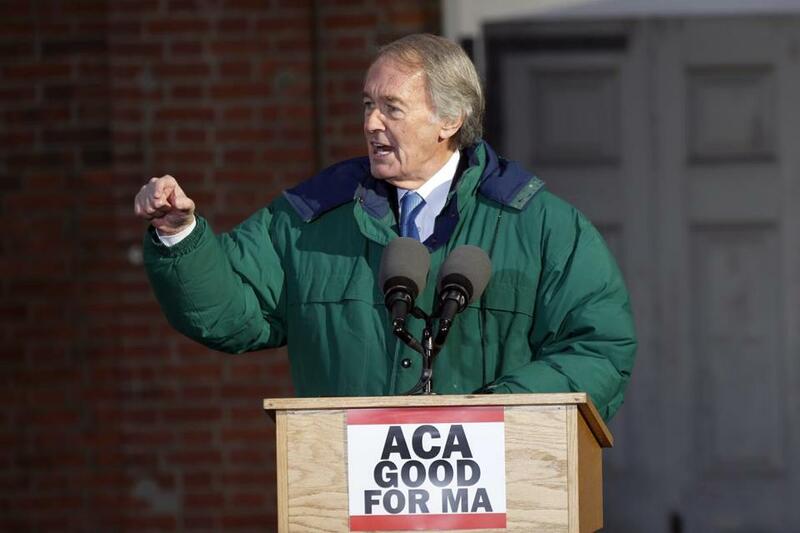 WASHINGTON — Massachusetts Senator Ed Markey wants to strip President Trump’s power to launch a nuclear first strike without a declaration of war by Congress. A bill Markey filed Tuesday, also introduced in the House by Representative Ted Lieu of California, comes amid fears over Trump’s comments on nuclear weapons. The bill is mostly a political statement, with little chance of passage. It would radically alter long-standing US military strategy concerning a nuclear first strike, and, in a GOP-controlled Congress, is unlikely to win favor. Through their legislation, Markey and Lieu are looking to curtail America’s first strike policy, which allows the country to launch a preemptive nuclear attack. Now as Trump has assumed office and has the nuclear codes, Markey and Lieu are looking to add extra barriers to his ability to deploy nuclear weapons. Tyler Pager can be reached at tyler.pager@globe.com.